One year ago, on television screens across the United States, Americans watched as their fellow countrymen and women needlessly died in attics, stadiums, and in the streets. 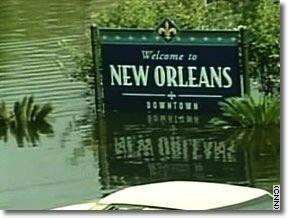 To many, the scenes were so surreal that today it is hard to imagine that the catastrophe known as Hurricane Katrina happened at all. Now, many want to know, how is New Orleans doing? Today, only half of the city has electricity, and around half of all hospitals are closed. With violent crime up and less housing available, fewer than 50% of the population has returned. Tens of thousands of families still live in trailors and mobile homes with no concrete plan for permanent housing- a dangerous situation in the wake of Hurricane Ernesto’s threats and the final storms of the summer. Mr. Bush has promised to ask Congress for legislation giving Louisiana a bigger share of royalties from offshore oil and gas drilling, and the state has been promised $110 billion in federal funds.